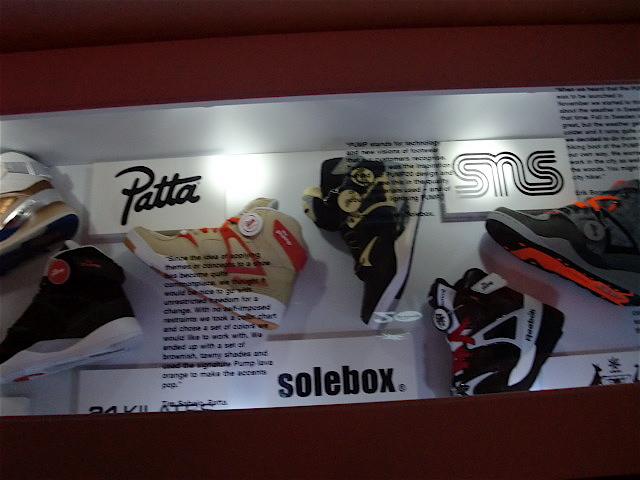 Reebok threw a kickin party to celebrate 20 years of the pump last week. While it was easy to be wooed by the towering pro athlete presence of hosts Emmitt Smith and Dominique Wilkins, as well as the open bar and mini Pop Burgers, I’m all about the Pump. 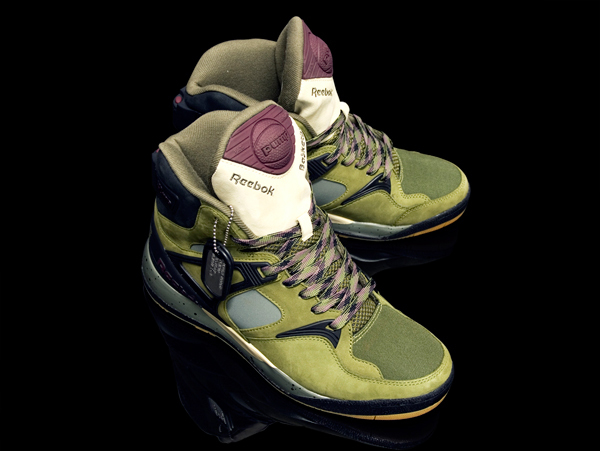 To start, one of the new limited edition Pump X styles, designed by Boston sneaker retailer, Bodega, was sold via lottery this week to keep collectors from camping out in front of the store. 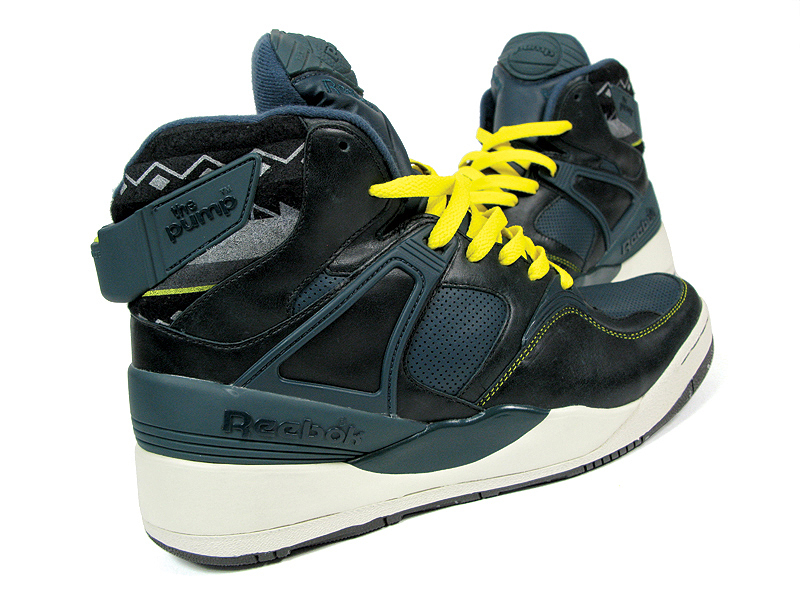 Reebok, whose entire staff was decked out in new retro versions of the custom fit shoe at the party, made sure to decorate the place in 90’s Pump posters that reminded me; the pump wasn’t just a basketball shoe. 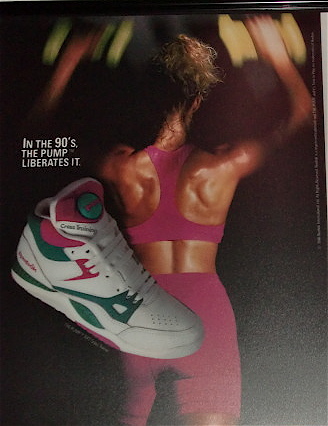 It was a tennis trainer, worn by great Michael Chang. It was also a running shoe, an aerobics shoe, a football shoe, the list goes on. And now it’s a limited edition. Here are a few of my favorite designs from it’s exclusive 20th anniversary partnerships. 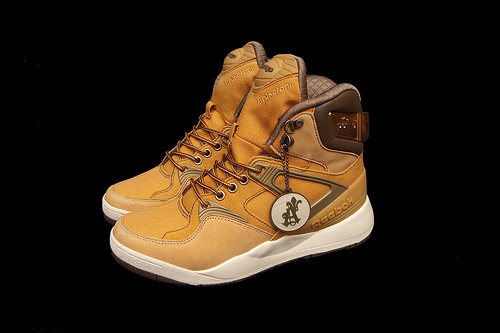 These work boot style sneakers are from Saint Alfred in Chicago. The aforementioned Outback from Bodega. A sleek, dark color combo from Huf in San Francisco. A few more, displayed behind glass at the party, but not including the Parisian boutique, Colette’s design, covered by our trendspotter Alli, last week. 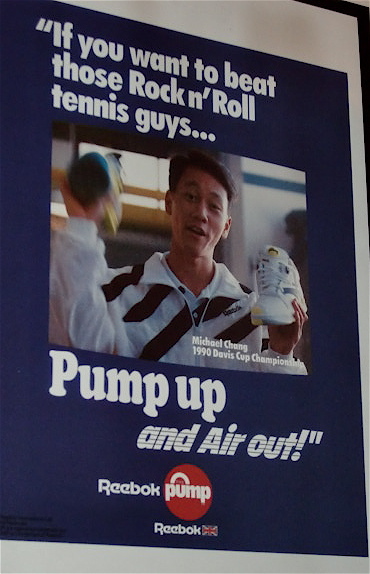 And the definitive Michael Chang poster. Just because I love the 90’s-ness of it.